An STNA is a valued member of the healthcare team who plays a significant role in ensuring patients obtain the quality of care they need. STNAs are highly skilled professionals who assist residents with the activities of daily living (ADLs), such as bathing, dressing, oral care and grooming, toileting, eating, and mobility. Working closely with registered nurses and licensed practical nurses, STNAs might perform other duties including measuring vital signs, observing patients and reporting concerns, answering call lights, and assisting with rehabilitative treatments. Since they provide the first line of care and spend the most time with patients, nursing assistants relay important concerns to their supervisors. To function in this demanding role, you must enroll in an STNA training program to obtain the knowledge and clinical skills to provide bedside care under the supervision of a licensed nurse. Ohio’s STNA classes deliver a minimum of 75 instructional hours in the classroom and clinical site. Graduates must take the state competency test to be added to the Nurse Aide Registry. 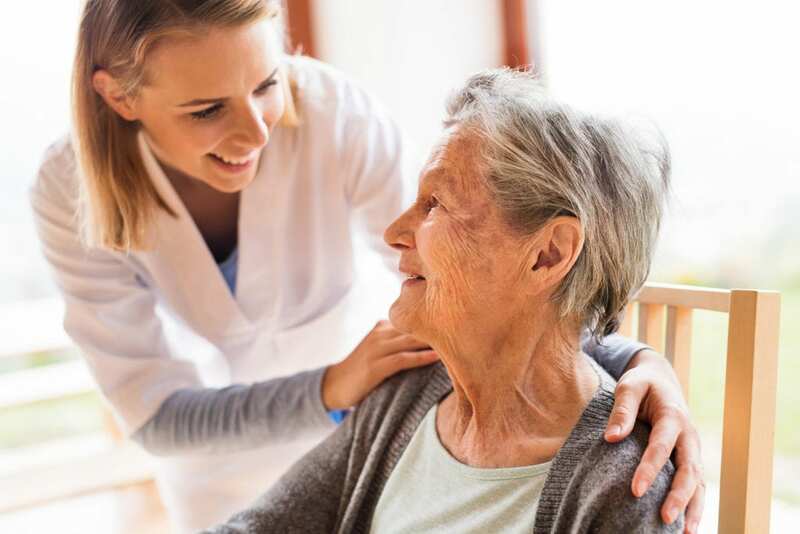 STNAs work in hospitals, clinics, long-term care facilities, home health care, assisted living facilities, and hospice to promote physical and emotional well being and help patients or residents regain their independence. Phoenix Healthcare Institute offers 75 contact hours of comprehensive nursing assistant training to prepare adults for a career in health. The state-approved training may be completed in just 2 to 4 weeks based on the schedule. Graduates will be well prepared for success on the State of Ohio State Tested Nurse Aide (STNA) licensure exam, which is administered on site. 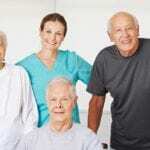 The curriculum covers 55 hours of classroom lectures and 16 clinical hours in a long-term care facility. Areas of study include infection control, communication and interpersonal skills safety and emergency procedures, respecting residents’ independence, basic nursing skills, mental health and social services, personal care skills, anatomy and physiology, hospice care, and much more. Students can complete the option CPR certification, First Aid certification, and Blood Borne Pathogens certification. Also include are exam review, resume prep, and dress for success. The day class meets from Monday through Friday for two weeks. Evening classes meet Monday through Friday for 4 weeks. Weekend classes meet Saturday and Sunday for 5 weeks. Tuition cost $495 plus expenses for uniforms, books, and supplies. Job placement assistance is available for all graduates. Star Training Center prepares adults for an entry-level position as a State Tested Nursing Assistant. The STNA program covers a minimum of 60 hours in the classroom and 16 hours of clinical experiences. Course topics include but are not limited to infection control, the role and responsibility of the nurse aide, range of motion exercises, feeding and nutrition, fluid intake and output, medical terminology, resident rights, safety procedures, patient transfers, personal care, and basic nursig skills. Students must attend all classes – make-up time may be available at no extra cost. Start Training limits the class sixe to 15 persons to ensure an optimal learning experience for all students. At the conclusion of the program, graduates will receive a Certificate of Completion and will be eligible to take the state exam conveniently offered on campus. Day classes meet from 8:00 am to 3:00 pm for two weeks. Evening classes meet from 5:00 pm to 10:00 pm for three weeks. A 7-week weekend schedule is also available – based on need. Tuition costs $450 and includes program instruction, CPR certification, D & S Skills Handbook, course study notes, and pen. A payment plan is available. Ace Tutors help students prepare for certification as a State Tested Nurse Aide. The STNA program covers 75 hours of classroom and practical training in preparation for the state certification test. Course modules include safety and emergency procedures, communication and interpersonal skills, resident rights and independence, personal care skills, basic nursing skills, basic restorative services, mental health and social services, and infection control. The clinical component is an essential component of the program and full attendance is required. Under the tutelage of an experienced nurse, students will have the opportunity to develop their clinical skills through direct patient care experiences. Morning and evening classes are available to accommodate working adults. Morning classes meet Monday through Friday from 10 am to 3 pm for three weeks. Evening classes meet Monday through Friday from 5 pm to 10 pm. Tuition costs $475. The non-refundable registration is $20. Scholarship opportunities are available for qualifying students. Solutions Premier Training Services facilitates a STNA training program with the approval of the Ohio Department of Health. The curriculum consists of 75 hours of instruction in the classroom, hands-on skills, and supervised clinical experiences. The duration of the program is two weeks. Students will learn the role and responsibility of the nurse aide, medical terminology, infection control, safety and emergency procedures, vital signs, range of motion exercises, mental health, patient rights and independence, nutrition and feeding, and hospice care. During the clinical experience, which takes place on the final days of the program, students will have the opportunity to provide direct patient care under the direction of a licensed nurse. Upon completion of the program, graduates will be eligible to sit the state license test to become an STNA. The program admits new students every two weeks. Day classes meet Monday through Friday from 9:00 am to 4:00 pm for two weeks. Be able to lift, pull or push up to 40 lbs. Tuition costs $479. A flexible payment plan is available. Those who wish to establish a plan must pay a before the program starts. CPR and First Aid is available for an additional $69. Rae-Ann’s STNA Program prepares adults for success on the Ohio certification exam to become eligible to practice in long-term care facilities. The comprehensive curriculum follows the guidelines of the Ohio Department of Health. It combines classroom lectures with skills practice and a supervised clinical experience in Rae-Ann’s facility where students care for residents under the supervision of an experienced instructor. The clinical experience accounts for 24 hours of the established instructional hours. Graduates will be eligible to sit the state exam and will also have the option to interview for positions at Rae-Ann. Classes meet Monday through Friday from 8:30 am to 3:30 pm. The clinical sessions are scheduled from 6:00 am to 2:30 pm. Students are expected to attend all sessions. Tuition for the program is $425. The criminal background clearance and TB test are included in the cost of the program. Additional costs include uniform and books.